When it comes to conservation, Lee Tesdell says, “‘Think globally, act locally’ is a good slogan to live by. We need to do what we can in our own backyards.” Over the last several years as a non-operator landowner of his family’s Century Farm, Lee has implemented several conservation practices in and around his land. Recently, he has tackled a new conservation challenge: reinvigorating the old windbreak that protects his farmstead. In the late 1850s, Lee’s great-grandfather was one of many Norwegians to purchase a farm along the northern edge of Polk County. Over one hundred years later, Lee became involved in managing the farm. By that time, his family was no longer farming the land, but had begun leasing it to a neighbor. Lee got to work implementing conservation practices on the farm, beginning with building three terraces in 1991. The farmer, Mike Helland, was also a forward-thinking conservationist who converted the farm to no-till in 1993. 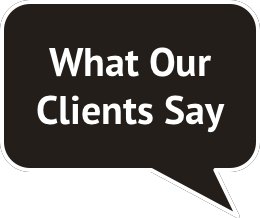 Lee believes that it is vital for landowners to work together with their tenants to make conservation happen, and Mike and Lee’s partnership was important for implementing practices such as cover crops, which improve the soil and water quality over time. The roots of cover crops build healthy soil structure, and support a thriving community of soil organisms. With the aid of a digging fork, Lee unearths a brown mustard plant surrounded by earthworms. 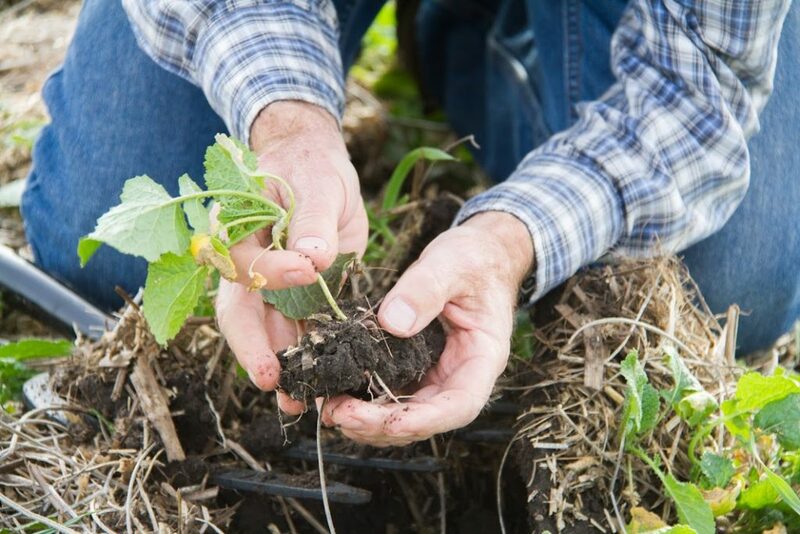 As with cover crops, Lee’s edge-of-field conservation practices have focused on using living plant roots to achieve the intertwined objectives of building healthy soil and improving water quality. With the help of Natural Resource Conservation Service (NRCS) cost-share funding, he installed buffers along Alleman Creek (a tributary of Four Mile Creek) in 2000 to reduce nutrient pollution and soil runoff in surface water, and in 2012 added a grassed waterway. With additional funding and support from the Iowa Soybean Association, he installed a woodchip bioreactor. Regular monitoring of water flowing through the bioreactor has shown that it reduces nitrates leaving the field in the tile drainage water by an average of 47%. Lee explains, “I see conservation practices as one of the most important things we do in the countryside for environmental health. Throughout history, we have altered our surroundings to fit what we need, and we need to do it in a science-based, responsible way.” This approach to environmental stewardship extends to his farmstead, where a large windbreak spans the north and western edges. The Tesdell farm windbreak was the result of contributions of several generations of farmstead residents. Around 1915 when the house was built, a single row of Norway spruce was planted, followed by three rows of ash trees in the 1950s. As with many woodlands in Iowa, aggressively invasive honeysuckle had found its way there too, possibly carried in by a bird. When Lee moved in, he enhanced the windbreak with shrubs such as Nanking cherry, dogwood, and wild plum, and later, a row of arborvitae white cedars. 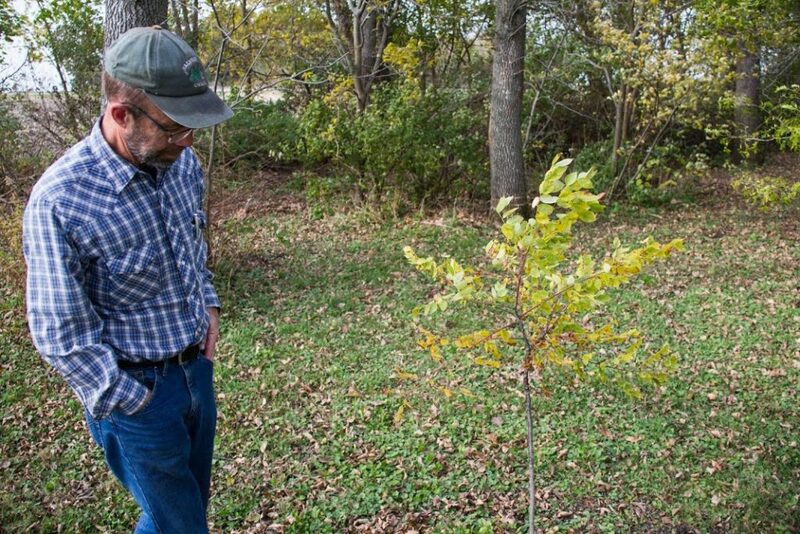 Other trees had appeared over the years– volunteer boxelder, white mulberry, silver maple, black walnut, and hackberry, as well as some Arbor Day seedlings his sons were gifted as children. Lee has begun to plant diverse species of native trees, including the swamp white oak pictured here, between existing rows of ash and conifers. This assortment of intergenerational vegetation provides shelter from strong, biting winds in the winter, and the heat of the sun in the summer, reducing household energy costs. Lee also values the forage it provides for the honeybees kept on the farm each summer, and habitat for songbirds, which he enjoys watching and identifying. 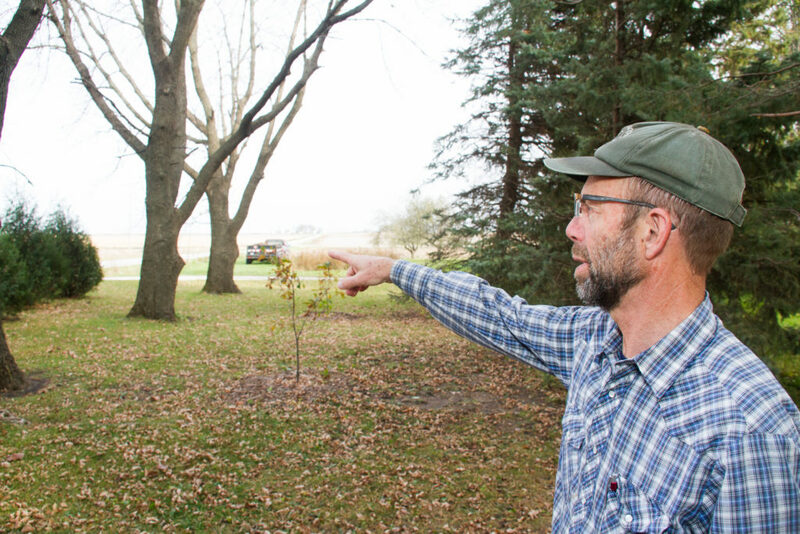 “I want the windbreak to be healthy for my sons and grandkids,” Lee said. “When I looked around and noticed most of the windbreak was Ash trees, I thought, I need to do something about this.” The recent arrival of the emerald ash borer marked the beginning of the end for the over 30 mature ash trees that are the dominant species in the windbreak. Seeing this as an opportunity to turn a liability into an asset, Lee decided to phone a forester–Luke Gran at Prudenterra. Luke visited the windbreak, and after taking a look, concluded that it was not susceptible to decline because of a single pest–the emerald ash borer–but rather, because the diversity of species was too narrow. In the past, ash was recommended for rural windbreak plantings because it grew quickly, tolerated a variety of soil conditions, and was a valuable timber species. Unfortunately, single species plantings are susceptible to eradication by pests and diseases. Experts now recommend planting a much richer diversity, with at least six tree and six shrub species. This native Kentucky coffee tree adds diversity, while providing excellent forage for honeybees each spring. The ash tree behind it was girdled to allow more sunlight in. This year, his work included planting a Kentucky coffee tree, two swamp white oaks, and four American basswood (linden) trees–selected with honeybee forage in mind. Next year, Lee plans to plant eastern white pines, and other species with flowers and berries to feed honeybees and songbirds. He will allow nature to take its course on most of the ash trees, but decided to girdle (kill) one to allow more sunlight to reach the replacement seedlings beneath it. The girdled tree, and many others will be left in place to provide standing dead tree habitat for woodpeckers and other wildlife. 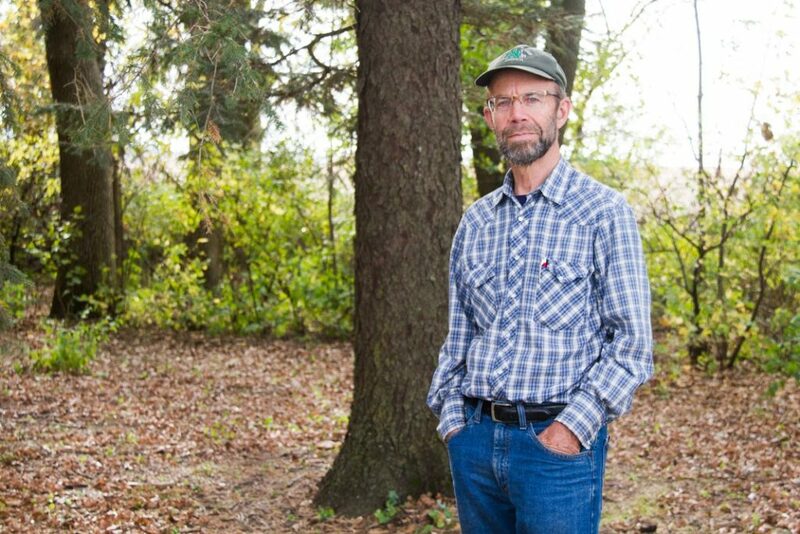 Beyond the technical information provided by the windbreak plan, Lee found himself perceiving his rows of trees and shrubs in a new way–as an ecosystem that can provide services. 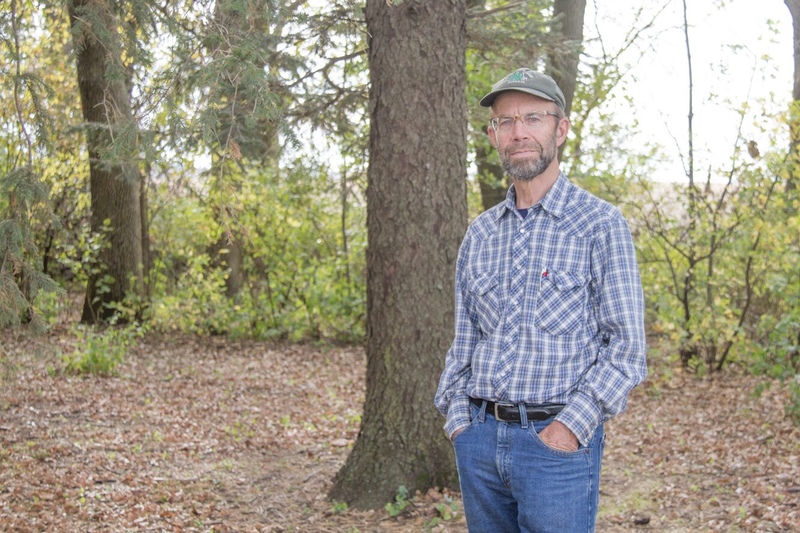 “I began thinking about the windbreak as a complex environment that protects us from wind and sun, provides bird habitat and honeybee pasture.” He plans to continue to manage it for diverse, native species to ensure its vitality for years to come. Lee has practiced conservation on his farm for decades, but this year, he has brought ‘think globally, act locally’ into his own backyard. Through a new vision for ecological management, the loss of the principal species in his windbreak has become an opportunity to grow dynamic habitat and build a farmstead legacy. Over the next decade, as the ash trees that have dominated the Tesdell windbreak for sixty years begin to decline, Lee will continue participating in its transformation to a more diverse, resilient ecosystem.